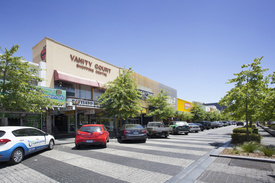 242 Commercial Real Estate and Properties in Melbourne South East are listed in 7 categories. We have 170 Offices for Lease , 36 Industrial Warehouses for Lease , 25 Retail Shops for Lease , 4 Medical and Consulting Properties for Lease , 3 Development Lands for Lease and 3 Showrooms for Lease . 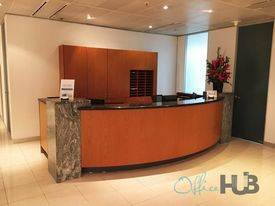 Dedicated Receptionist | Ideal Location | Excellent Amenities $295pw | 2 Person Workspa..
PROPERTY OVERVIEW and gt; and gt; $295pw Price incl. Internet, rent, electricity, building outgoings and amp; all utility bills Flexi terms Modern fit out Regular cleaning 24/7 access Dedicated receptionist Great Southbank location Modern building Avail NOW for short or long term rent With a variety of waterfront restaurants within walking distance, these private offices are conveniently located in the IBM Tower on the edge of Melbourne's CBD. Providing easy access to a range of public transport options including buses, ferries and trains. The advertised office space is perfect for a team of 2. If you need more or less space, we have over 30,000 furnished workspaces all over the world suitable for a team of 1 to 200+. Our award winning team offer a free service that will help you find the perfect solution for your needs, so reach out if you need more help. What you get for your weekly rent and gt; Furnished office with desks, chairs and lock up storage units and gt; Complimentary receptionist to meet and greet your clients and gt; Unlimited commercial grade internet service and gt; Electricity usage included and gt; Regular cleaning and gt; Telephone number and amp; handset and gt; Prestigious business address to put on your cards and gt; Flexible terms from 1 month 2 years and gt; Ability to bring your existing phone number over and gt; 24 x 7 access to your office and gt; 24 x 7 security and gt; Company Signage in the reception Building features Modern, high rise building Bike racks and shower facilities in the building Cafe on site High speed lifts Car parking in building and surrounding areas Dedicated on site management team Office features Stunning city and amp; river views from selected offices Modern facilities throughout Full mail management and postage Meeting and boardrooms available Signage board in foyer to highlight your business name Quality finishes and amenities throughout Server / Comms rooms available for server storage 400m to Yarra River ferries and bike paths 550m to Flinders Street train station 800m to Flinders Street bus stops Cose to cafes, restaurants, pubs, shops in fact everything! WHO IS OFFICE HUB? Office Hub is Australia and amp; New Zealand\'s No 1 small office space commercial real estate agency. We have the largest collection of shared spaces, coworking and serviced offices in Australia and amp; New Zealand, perfect for 1 100 employees. Let us take you on a tour of all the spaces that fit your needs and budget. Our service is complimentary and we work for you and the landlord to negotiate the most competitive deal in the market. Let us show you how shared and serviced offices can be the perfect solution for your business. www.office hub.com.au www.office hub.co.nz Conditions apply A portion of the square meterage factors in access to shared space. Price includes any incentives offered. This is for new tenants only. Innovative Working Environment | Great Amenities | Economical Workspace $169pw | 3 Person Workspa..
PROPERTY OVERVIEW $169pw Price incl. Purpose built smart coworking space in South Melbourne for small businesses, parent preneurs, freelancers and side hustlers. This coshare office is the first in Melbourne to offer a fully automated coworking setup, with 24 hour access to the building, private offices, meeting rooms and community forums controlled through a smart phone app. Inspired by the flexibility of a 24 hour gym, the smart coworking centre gives workers the chance to work when it suits them and concentrate without interruption. The old world industrial building features beautiful raw features with the addition of purpose built office spaces and the latest technology such as a meeting room, boardroom, superfast internet, phone booths, conferencing tech, business class printers and chill zones. Enjoy front desk service and mail handling during business hours and participate in the online community to join social and professional events or promote your service. You can even order barista made coffee from the onsite café via your smartphone. Excellent option for small businesses or remote employees seeking a hassle free, accessible and affordable coworking space in a convenient South Melbourne location. Flexi terms start from 1 month book a tour through Office Hub to view. A character warehouse building is the atmospheric home of this pioneering South Melbourne coworking hub. Tucked away on a small lane off Clarendon Street, it enjoys a private and peaceful location with advantageous access to transport links, amenities and inviting cafes. The building is accessible at all hours via smartphone app and the positioning is perfect for busy professionals – enjoy working in a quieter spot while still close to a wide range of amenities, services and attractions. In the immediate vicinity there is a #12 tram stop, grocers, bookstores, supermarkets, banks, renowned restaurants, cafes, Anytime Fitness and F45. This smart coworking hub also puts you close to South Melbourne Markets, the West Gate Freeway and the Southbank business hub – great for any small team or sole trader needing all the facilities you’d find in a city office at a fraction of the price. The advertised office space is perfect for a team of 3. If you need more or less space, we have over 30,000 furnished workspaces all over the world suitable for a team of 1 to 200+. Our award winning team offer a free service that will help you find the perfect solution for your needs, so reach out if you need more help. What you get for your weekly rent , 24/7 Access , 24/7 Security , Access to complimentary bar , Access to internal breakout areas , Access to kitchen facilities , Access to secure printer and scanner (Fees apply) , Building outgoings included , Electricity usage included , Fully equipped boardrooms, meeting rooms and day offices (fees may apply) , One simple bill for everything related to your workspace , Plug and play furnished workspace Building features , Air conditioning , Bicycle storage , Car parking in building (Paid) , Car parking Street (Free) , Company branding in foyer , Disabled access and facilities , Industrial / Warehouse style fitout , Pet friendly office space , Professional working environment 55m to trams on Claredon Street and 350m to buses on Cecil Street. Lots of cafes, food places and great coffee spots in the area 2.4km to Melbourne CBD Who is Office Hub? Office Hub is the world\'s No.1 marketplace for office space. We have a huge global selection of coworking spaces, serviced offices and shared office spaces with flexible options to suit teams from 1 200 people. We\'ll take you on a tour of all the workspaces that fit your needs and work on your behalf to get the best price possible. We\'ll help you discover how shared office space can be the most beneficial and budget friendly solution for your business. www.office hub.com Conditions apply – the advertised price includes any incentives offered based on a 12 month agreement and is available to new tenants only. Please note that the rental rate may increase for a shorter rental period. A portion of the square meterage factors in access to shared space. Like New  Office Fit Out To Remain $16,000 p/a + GST + Outgo.. This Fantastic Office/warehouse Totals 329sqm With Office Mezzanine $36,190 p/a + GST + Outgo..
Rare Corner Site In Black Rock ! $80,000 p/a + GST + Outgo..
Food Processing Facility In The Heart Of Dandenong! $42,000 p/a + GST + Outgo..
First Class Warehouse In Braeside  Like New $17,990 p/a + GST + Outgo.. Affordable Retail / Office Space $12,000 p/a + GST + Outgo..
Hairdressing / Beauty Salon - Also Suitable For Many Other Uses (stca) $20,000 p/a + GST + Outgo..
High Exposure Restaurant Leasing Opportunity $35,000 p/a + GST + Outgo..
Budget Commercial Space  Suitable For A Variety Of Uses (stca) $10,000 p/a + Part Outgoi.. The Perfect Starter  300m2* Office/warehouse $30,000 p/a + GST + Outgo..
Immaculate Warehouse With Good Clearance - Available Now! $31,000 per annum plus GS..
Collaborative Space | Enviable Location | Creative Co-working Hub $506pw | 4 Person Workspa..
PROPERTY OVERVIEW $506pw Price incl. Classy and cool coworking space in Balaclava designed with purpose – to help growing SMEs, freelancers and entrepreneurs to thrive in both business and life! This new coworking space opened in late 2018 to rave reviews, with a modern industrial design and fabulous inclusive benefits wowing Melbourne’s flexible workspace scene. Combining coworking desks, private offices and warehouse event space, it’s beautifully engineered to promote collaboration and networking. Regular community events and monthly drinks help build the good vibes between a diverse group of entrepreneurs, freelancers and SMEs and ultimately help you find inspiration and build your business faster. With this workspace rental you get high speed Wi Fi and ethernet connection, 24/7 access, a mailing address, unlimited tea and coffee plus shared use of printers, two boardrooms, workshop areas and a stunning variety of breakout areas including an inhouse cafe. There are also large and small event spaces with catering, AV system, a stage and BBQ outdoor area, plus a mixed use warehouse area that can be used for photoshoots, gallery nights, artwork, production… or whatever you need! Available now on flexible terms for short or long term rent book your tour to view this boutique coworking space in Balaclava. This coworking space is located in the heart of Balaclava in a reimagined warehouse building called The Windsor Cable Tram Engine House. The building’s rich history can be traced to 1891, when local transport tycoon Francis Boardmann Clapp established the Melbourne Cable Tramway Network and powered the Windsor Esplanade tram line from the Engine House. Today, it is just as much a symbol of industry, enterprise and innovation as it houses this creative coworking space and extensive renovations have added a large industrial event area, intimate warehouse event space, in house cafe, outdoor BBQ area and showers. It’s located at the Windsor end of the vibrant Chapel Street in Balaclava, where you can be sure of a close village feel and distinct Melbourne vibes surrounded by other professionals and creatives. Working at this shared office, you’ll be just steps from great coffee, tasty food and popular watering holes such as Las Chicas cafe, Glick’s Bakery, Treehouse Lounge Bar and loads more. It’s also close to gyms, yoga and pilates studios, within walking distance to Trams 64/67/78 and just three minutes’ walk to Balaclava Train Station. The advertised office space is perfect for a team of 4. If you need more or less space, we have over 30,000 furnished workspaces all over the world suitable for a team of 1 to 200+. Our award winning team offer a free service that will help you find the perfect solution for your needs, so reach out if you need more help. What you get for your weekly rent , 24/7 Access and Security , Access to internal breakout areas , Access to kitchen facilities: Free coffee and herbal tee , Access to secure printer and scanner , Building outgoings included , Electricity usage included , Flexible terms , FREE use of the meeting rooms , Lockable storage unit , Phone Booths for privacy and confidential calls , Plug and play furnished workspace , Regular cleaning , Secure high speed Internet Building features , Abundance of natural light , Air conditioning , Bicycle storage , Boutique low rise buidling , Car parking Street (Free) , Company branding in foyer , Complimentary business Lounge , Onsite Cafe / Restaurant , Taxi / Uber stand close to building 200m to tram stop Balaclava Station/Carlisle St 250m to Balaclava Train Station Gyms and yoga/pilates studios in the same street 450m to Coles Balaclava 220m to Las Chicas cafe & loads of restaurants and bars! Who is Office Hub? Office Hub is the world\'s No.1 marketplace for office space. We have a huge global selection of coworking spaces, serviced offices and shared office spaces with flexible options to suit teams from 1 200 people. We\'ll take you on a tour of all the workspaces that fit your needs and work on your behalf to get the best price possible. We\'ll help you discover how shared office space can be the most beneficial and budget friendly solution for your business. www.office hub.com Conditions apply – the advertised price includes any incentives offered based on a 12 month agreement and is available to new tenants only. Please note that the rental rate may increase for a shorter rental period. A portion of the square meterage factors in access to shared space. Excellent Lighting | Enjoyable Working Environment | Great Location $476pw | 3 Person Workspa..
PROPERTY OVERVIEW $476pw Price incl. Fresh and invigorating serviced offices and coworking spaces for rent in South Melbourne. This business centre delivers an uplifting atmosphere where more work gets done thanks to stunning white and light filled interiors, bespoke furniture and indoor plants. Home to a collaborative network of small to medium businesses, startups and project teams, you’ll have more chances to engage with the dynamic South Melbourne business community as you work on growing your passion. The office features world class technology including wireless secure access, wireless VIVI screen sharing and hi speed fibre internet (400Mbps/400Mbps) and is set up with everything modern day businesses need – B&W and colour printing, fully equipped meeting and boardrooms and mail boxes. It’s also great for personal wellbeing and convenience with fitted kitchens, coffee machines, lockers for personal storage and a concierge team that can help with transport bookings, dry cleaning and local recommendations. This is South Melbourne’s premium coworking centre and it's filling up fast – enquire now for flexi memberships and no hidden costs or setup fees. This vibrant coworking office is located on Albert Road at the beating heart of the St Kilda Road commercial precinct. The modern four level building has underground parking, bike storage and showers among its great facilities. There is also an all day cafe and wine bar called Lobby Coffee & Wine on site – this building is a real lifestyle attraction, perfect for coworkers who love meeting new people and indulging in a fun local atmosphere. South Melbourne’s fab cafes, bars and shopping are at your fingertips and the Domain Tram Interchange is just two minutes’ walk away. This prime location also offers good road links via major arterial roads, Citylink, Westgate Freeway and Princes Highway for amazing convenience and a better lifestyle working from this South Melbourne office space. The advertised office space is perfect for a team of 3. If you need more or less space, we have over 30,000 furnished workspaces all over the world suitable for a team of 1 to 200+. Our award winning team offer a free service that will help you find the perfect solution for your needs, so reach out if you need more help. What you get for your weekly rent , 24/7 Access , 24/7 Security , Access to internal breakout areas , Access to kitchen facilities , Access to secure printer and scanner , Building outgoings included , Electricity usage included , One simple bill for everything related to your workspace , Plug and play furnished workspace , Regular cleaning , Secure high speed Internet , Your own receptionist and waiting area for your clients Building features , Abundance of natural light , Air conditioning , Car parking in building (Paid) , Concierge on ground floor , Creative space , Disabled access and facilities , Taxi / Uber stand close to building 2 mins walk from the Domain Tram Interchange 5 mins from the CBD Melbourne's best cafes are right next door Walking distance to Albert Park Lake and surrounds WHO IS OFFICE HUB? Office Hub has largest collection of shared office space, sublet office space, creative coworking office space and serviced offices, perfect for 1 200 employees. Let us take you on a tour of all the spaces that fit your needs and budget. Our service is complimentary and we work for you and the landlord to negotiate the most competitive deal in the market. Let us show you how shared and serviced offices can be the perfect solution for your business. www.office hub.com.au www.office hub.co.nz Conditions apply A portion of the square meterage factors in access to shared space. The advertised price includes any incentives offered based on a 12 month agreement. If a shorter period is agreed to please note the price may increase accordingly. This promotional offer for new tenants only and may be withdrawn at any time due to space availability. Contemporary Office Space | Close To Public Transport | Coworking $254pw | 5 Person Workspa..
PROPERTY OVERVIEW $254pw Price incl. Purpose built smart coworking space in South Melbourne for small businesses, parent preneurs, freelancers and side hustlers. This coshare office is the first in Melbourne to offer a fully automated coworking setup, with 24 hour access to the building, private offices, meeting rooms and community forums controlled through a smart phone app. Inspired by the flexibility of a 24 hour gym, the smart coworking centre gives workers the chance to work when it suits them and concentrate without interruption. The old world industrial building features beautiful raw features with the addition of purpose built office spaces and the latest technology such as a meeting room, boardroom, superfast internet, phone booths, conferencing tech, business class printers and chill zones. Enjoy front desk service and mail handling during business hours and participate in the online community to join social and professional events or promote your service. You can even order barista made coffee from the onsite café via your smartphone. Excellent option for small businesses or remote employees seeking a hassle free, accessible and affordable coworking space in a convenient South Melbourne location. Flexi terms start from 1 month book a tour through Office Hub to view. A character warehouse building is the atmospheric home of this pioneering South Melbourne coworking hub. Tucked away on a small lane off Clarendon Street, it enjoys a private and peaceful location with advantageous access to transport links, amenities and inviting cafes. The building is accessible at all hours via smartphone app and the positioning is perfect for busy professionals – enjoy working in a quieter spot while still close to a wide range of amenities, services and attractions. In the immediate vicinity there is a #12 tram stop, grocers, bookstores, supermarkets, banks, renowned restaurants, cafes, Anytime Fitness and F45. This smart coworking hub also puts you close to South Melbourne Markets, the West Gate Freeway and the Southbank business hub – great for any small team or sole trader needing all the facilities you’d find in a city office at a fraction of the price. The advertised office space is perfect for a team of 5. If you need more or less space, we have over 30,000 furnished workspaces all over the world suitable for a team of 1 to 200+. Our award winning team offer a free service that will help you find the perfect solution for your needs, so reach out if you need more help. What you get for your weekly rent , 2 hours/month free access to meeting room , 24/7 Access , 24/7 Security , Access to complimentary bar , Access to internal breakout areas , Access to kitchen facilities , Access to secure printer and scanner (Fees apply) , Building outgoings included , Electricity usage included , Fully equipped boardrooms, meeting rooms and day offices (fees may apply) , One simple bill for everything related to your workspace , Plug and play furnished workspace Building features , Air conditioning , Bicycle storage , Car parking in building (Paid) , Car parking Street (Free) , Company branding in foyer , Disabled access and facilities , Industrial / Warehouse style fitout , Pet friendly office space , Professional working environment 55m to trams on Claredon Street and 350m to buses on Cecil Street. Lots of cafes, food places and great coffee spots in the area 2.4km to Melbourne CBD Who is Office Hub? Office Hub is the world\'s No.1 marketplace for office space. We have a huge global selection of coworking spaces, serviced offices and shared office spaces with flexible options to suit teams from 1 200 people. We\'ll take you on a tour of all the workspaces that fit your needs and work on your behalf to get the best price possible. We\'ll help you discover how shared office space can be the most beneficial and budget friendly solution for your business. www.office hub.com Conditions apply – the advertised price includes any incentives offered based on a 12 month agreement and is available to new tenants only. Please note that the rental rate may increase for a shorter rental period. A portion of the square meterage factors in access to shared space. $1726pw | 15 Person Works..
PROPERTY OVERVIEW $1726pw Price incl. Newly renovated plug and play workspace in popular St Kilda precinct. Price incl.Internet, Eletricity & Building Outgoings 24/7 Access Open plan layout Reception services Cafe/restaurant onsite Free meeting room Cool fitout Coworking Space Industrial Fitout Close proximity by car, bus and tram to Melbourne CBD and Port Phillip Bay. This state of the art co working space is uniquely housed in a repurposed 19th century tram depot located at the Windsor end of Chapel St, Prahran, Melbourne. It is designed for entrepreneurs and freelancers to network, collaborate and inspire each other. It’s a place of purpose, community and productivity. Our members range from startups to established entrepreneurs and growing SMEs. It features an in house cafe, warehouse event space and communal areas which are perfect for networking. The advertised office space is perfect for a team of 15. If you need more or less space, we have over 30,000 furnished workspaces all over the world suitable for a team of 1 to 200+. Our award winning team offer a free service that will help you find the perfect solution for your needs, so reach out if you need more help. What you get for your weekly rent , 24/7 Access , Access to internal breakout areas , Access to kitchen facilities , Building outgoings included , Electricity usage included , Flexible terms , Regular cleaning , Private offices and Dedicated desks , FREE use of the Meeting Rooms , Dedicated IT and communications support , Access to secure printer and scanner , FREE business networking events , Access to Health and Wellness Room , Commercial grade internet (Free) Building features , Air conditioning , Bike racks , Business lounge , Cafe/restaurant onsite , Conference facilities available , Dedicated men and ladies bathrooms , Disabled facilities , Natural light , Photocopying facilities , Industrial / Warehouse style fitout , Car parking Street (Free) , Pet friendly office space , Impressive new fit out Walking distance to Trams 64/67/78 and Windsor Train Station 400m to The Windsor Castle gastropub 5 min walk to Suzie Wong Asian Restaurant 10 minute drive to St Kilda Beach 6km to Melbourne CBD Who is Office Hub? Office Hub is the world\'s No.1 marketplace for office space. We have a huge global selection of coworking spaces, serviced offices and shared office spaces with flexible options to suit teams from 1 200 people. We\'ll take you on a tour of all the workspaces that fit your needs and work on your behalf to get the best price possible. We\'ll help you discover how shared office space can be the most beneficial and budget friendly solution for your business. www.office hub.com Conditions apply – the advertised price includes any incentives offered based on a 12 month agreement and is available to new tenants only. Please note that the rental rate may increase for a shorter rental period. A portion of the square meterage factors in access to shared space. Affordable Ground Floor Office Ready To Go ! $12,000 p/a + GST + Outgo..
Retail/cafe Or Office In The Heart Of Frankston - Opposite Train Station $25,000 p/a + GST + Outgo..
Like New - Main Road Exposure In A Premium Position $21,000 p/a + GST + Outgo..
Corporate Office Suite - Available Now! $20,000 p/a + GST + Outgo..
Retail / Office In Caulfield Junction With Main Road Frontage $25,000 p/a + GST + Outgo..
Near New Warehouse/office In Gated Estate $24,500 p/a + GST + Outgo..
Budget Office In The Heart Of Dandenong $7,000 p/a + GST + Outgoi.. Tall And Clear Span Office / Warehouse In The Heart Of Springvale $38,000 p/a + GST + Outgo..